It is the epicenter of America's military operations... a five-sided fortress with a single purpose to defend the United States and its citizens. But behind the concrete walls and re-enforced windows are secrets. Enter the headquarters of the U.S. Department of Defense and explore the complex operations and top-secret business conducted at the largest low-rise office building in the world. 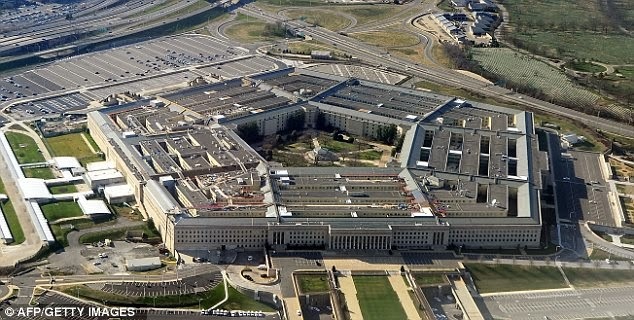 How did the Pentagon get its unusual shape? How many people work at the Pentagon? What covert intelligence gathering organizations operate within the military compound--and how are their secrets protected? What top-secret information was compromised from the attack on September 11th? How quickly did the building and its tenants get back to business as usual? For seven decades, the Pentagon has been an icon of American strength and military excellence. But more impressive than the building itself are the secrets held there...until now. The Pentagon is the headquarters of the United States Department of Defense, located in Arlington County, Virginia. As a symbol of the U.S. military, "the Pentagon" is often used metonymically to refer to the U.S. Department of Defense rather than the building itself. Designed by American architect George Bergstrom (1876--1955), and built by general contractor John McShain of Philadelphia, the building was dedicated on January 15, 1943, after ground was broken for construction on September 11, 1941. General Brehon Somervell provided the major motive power behind the project; Colonel Leslie Groves was responsible for overseeing the project for the U.S. Army. The Pentagon is the world's largest office building by floor area, with about 6,500,000 sq ft (600,000 m2), of which 3,700,000 sq ft (340,000 m2) are used as offices. Approximately 28,000 military and civilian employees and about 3,000 non-defense support personnel work in the Pentagon. It has five sides, five floors above ground, two basement levels, and five ring corridors per floor with a total of 17.5 mi (28.2 km) of corridors. The Pentagon includes a five-acre (20,000 m2) central plaza, which is shaped like a pentagon and informally known as "ground zero," a nickname originating during the Cold War and based on the presumption that the Soviet Union would target one or more nuclear missiles at this central location in the outbreak of a nuclear war. On September 11, 2001, exactly sixty years after the building's groundbreaking, a Boeing 757-223, American Airlines Flight 77, was hijacked by terrorists and crashed into the western side of the Pentagon, killing 189 people (the five hijackers, 59 others aboard the plane, and 125 in the building). It was the first significant foreign attack on the capital's U.S. government facilities since the Burning of Washington by the British during the War of 1812.